Charlotte Dujardin and ‘Mrs Valegro’ will reveal their new freestyle routine at Olympia, The London International Horse Show. Returning for another year of top equestrian action, Olympia, The London International Horse Show will be hosting the world’s best riders in London, from December 17-23. Bringing a ‘first ever’ to Olympia, Charlotte Dujardin CBE and her protégée, Mount St John Freestyle, dubbed ‘Mrs Valegro,’ will be performing their never seen before Freestyle test when they compete in the FEI World Cup™ Dressage Freestyle to Music on Tuesday December 18th. The former world number one and winner of three Olympic gold medals, will be taking centre stage in the Grand Hall. All eyes will be on the new duo as Dujardin returns to the FEI World Cup™ Dressage at Olympia for the first time since 2015 when she won the Grand Prix and Freestyle aboard Utopia. This followed a golden year when she set the world record for the highest score ever achieved in a Freestyle competition with Valegro. This year, Dujardin will be putting her 2020 Olympic gold medal hopeful – a nine-year-old Hanoverian mare, owned by Mount St John Stud – through her paces. Dujardin and Mount St John Freestyle were due to showcase their routine at the FEI World Equestrian Games™ Tryon 2018 in September; however, the Freestyle competition was cancelled due to torrential rain. Despite this, the partnership returned home with two bronze medals from the Games, a huge achievement, particularly as Mount St John Freestyle was one of the youngest horses in the competition. The stunning mare, who achieved an unbelievable debut score of 81% in her first Grand Prix, has not scored less than 74% at any level in the last three years, setting the scene for excellent competition at Olympia. Dressage at Olympia 2018 will be piloting a new, exciting format, which aims to make the FEI Dressage World Cup™ more appealing to a wider audience. The main change is a shorter Grand Prix technical test of five minutes which will allow time for rider interviews and audience interaction giving the crowd an opportunity to gain a greater insight to the skills of the dressage riders. 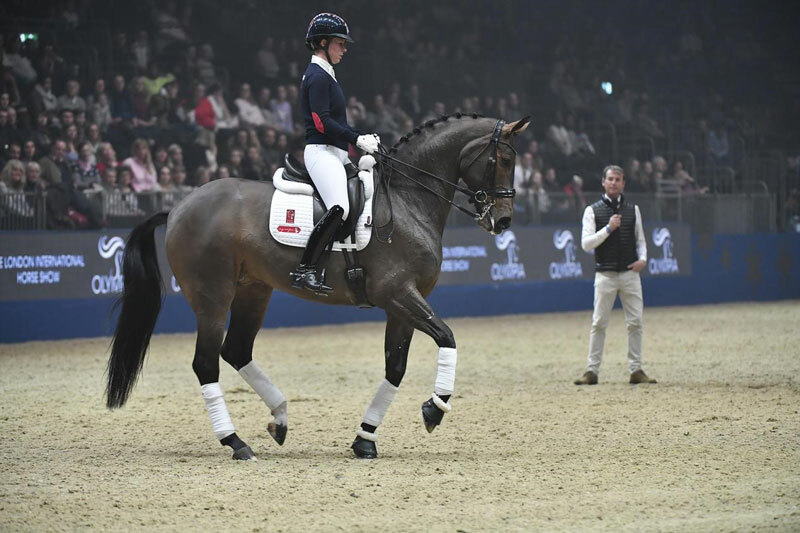 Tickets are still available to see Charlotte Dujardin and Mount St John Freestyle in action December 17-18. For more information on how to purchase tickets, please visit www.olympiahorseshow.com or telephone the box office on 0844 995 0995.